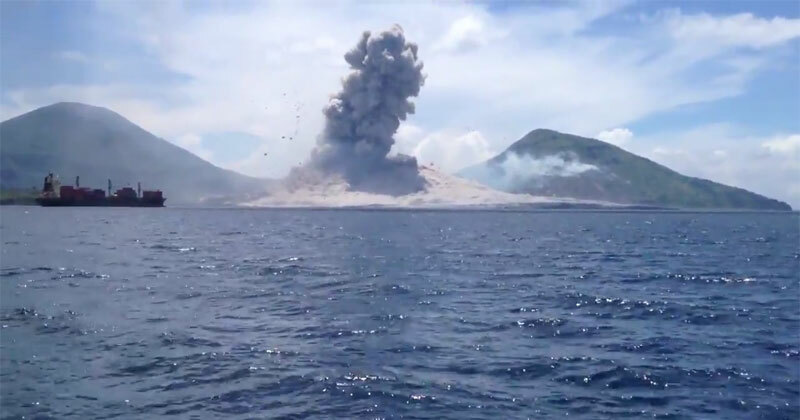 Passengers onboard a boat in Papua New Guinea witness a volcanic eruption on Mount Tavurvur on 29 August 2014. Tavurvur is an active stratovolcano that lies near Rabaul, on the island of New Britain, in Papua New Guinea. It is a sub-vent of the Rabaul caldera and lies on the eastern rim of the larger feature.